Ladybugs are delightful creatures and they are found all over the world. There are 22-spotted yellow ladybugs and striped ladybugs. 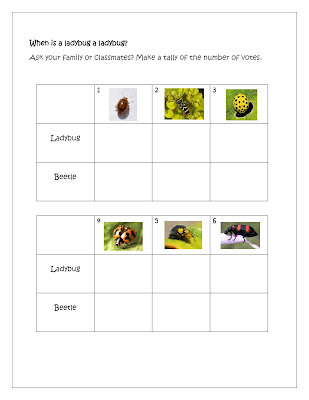 There are also lots of things to be excited about when looking at the life-cycle of ladybugs. And many students love to think about the different stages. In this booklet students are also asked to observe animals with the goal of getting inspiration for new ideas. Hopefully, these activities will make the learning fun and engaging. When a ladybird flies it opens its wings that are under hidden under its elytra. The Elytra is the hard shell that protects the ladybird. The elytra are symmetrical. Every time a ladybird has finished flying it has to fold the wings back underneath the elytra. This construction can be very useful when you are designing a helmet or playhat. Instead of always carrying a raincoat with you when you go for a bike ride, imagine that a raincover opens up like an umbrella under the helmet. Windshields blades could appear on the sunglasses, the ladybirds' antenna inspired this idea. We made a template that we used to sketch some design ideas for a ladybird helmet. Biomimicry is a great way to encourage children to draw and illustrate their ideas. Pastels were used on a black paper. 3. 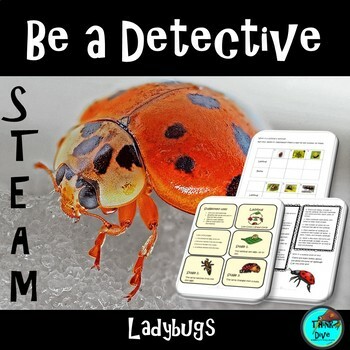 What is the connection between a larva and a ladybug? 4. 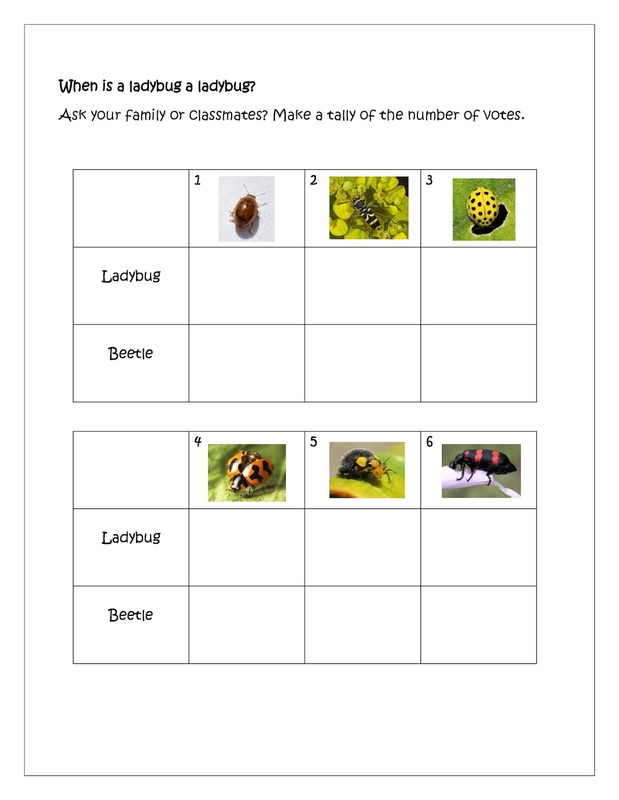 What do larvae and ladybugs eat? 9. Larvae are. . .
10. Ladybugs are. . .